Every so often I find myself in a place that captivates me as much as it inspires me. Cue Salzburg, one of Austria’s most charming small cities that relies solely on tourism due to its attractive old world charm, stunning architecture, film location for The Sound of Music, and for being the birthplace of the world’s most prolific composer, Wolfgang Mozart. But as if its musical pedigree weren’t enough, the city’s natural beauty – and its proximity to other quaint, small towns like Werfen and Halstatt – is also reason enough to pack your bags – that’s why I added Salzburg to our Europe itinerary! Before I get into the details of Salzburg, let me talk a little about breathtaking Werfen first. pinthisWe spent three days in and around Salzburg, and I have to say, I was completely spellbound! Werfen is famous for being the location where Maria Trapp taught the Von Trapp children the “Do Re Mi” song in the classic film The Sound of Music, with the 900-year-old Hohenwerfen Castle in the background. 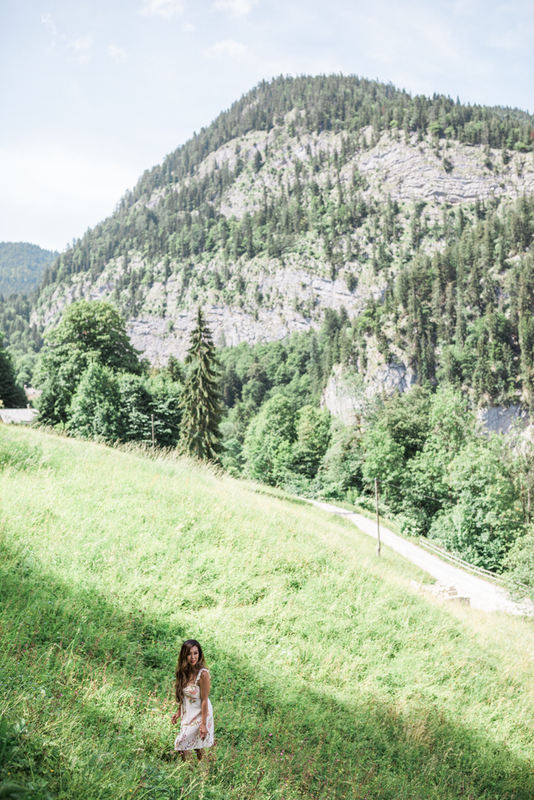 While I must confess that I’ve never actually seen The Sound of Music myself, I imagine Werfen must be fun for history and film buffs to see up close and have a picnic in the hills like Maria. Aren’t these mountains just gorgeous?? Salzburg is also well-known for being one of the locations from The Sound of Music. There were definitely tourists around me singing/humming “How do you solve a problem like Maria?” Salzburg is very much a Baroque city, and the streets of the Old Town reflect that. A few hours are all it takes to fall hopelessly in love with this city! Take leisure time to roam up and down every narrow side street. If you’re in the mood to shop, you might find some souvenirs or treasures along Getreidegasse, the famed shopping street in Salzburg. There are also quaint cafes around every corner, and even shops selling traditional Austrian clothing. Getreidegasse is a narrow pedestrian walkway – good luck squeezing your way through the mobs of people, especially around house number 9 – which turns out to be Mozart’s birthplace in 1756. Bit of a tourist mill, but a quick visit will allow you to say stuff like “It was the violin he played in his childhood that really caught my eye” over drinks with your fancy friends. And while you’re stuck amongst the crowds of tourists on the main street, don’t forget to look up – the ornate wrought iron signs and the intricately carved window frames are so pretty! We stayed at the most incredible AirBNB farmhouse in Salzburg. Yes, you heard me right! 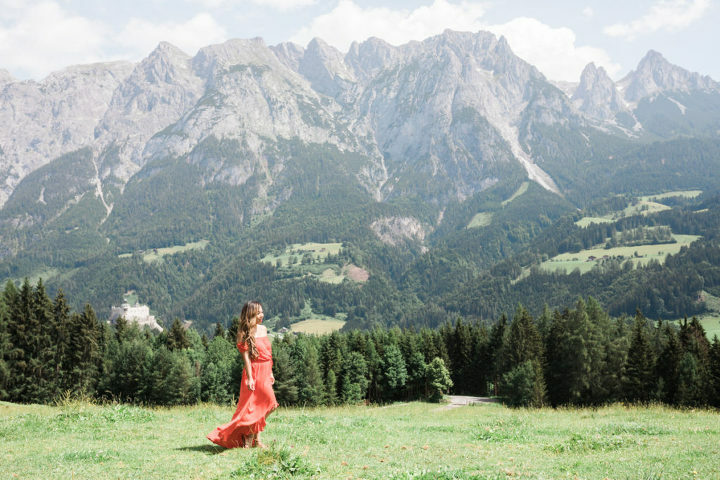 Acres and acres of wide-open land, the stunning Austrian Alps in our backyard, and oh the fresh country air!! There was also a playground right on the grounds of the property for the kids to play on lest they are bored of riding on one of the cute pedal cars provided by the AirBNB host or petting the farm animals just next door. Hope you enjoy these pictures of Salzburg and Werfen!